Assam: IIT Ghy Suicide case: Student's death to get a new concrete probe! Guwahati: The family of IIT Guwahati student Tushar Yadav, who was found dead in a hostel in September 2014, appeared vindicated, when the court of the additional chief judicial magistrate (ACJM) of Assam observed on January 20 that there is a strong possibility the Gurgaon boy’s death was not suicide as claimed by cops, and ordered a concrete probe into the matter by a competent official under supervision of Assam DGP. Tushar’s parents Narender Singh and Bindu Yadav had alleged their son had been killed after being ragged. 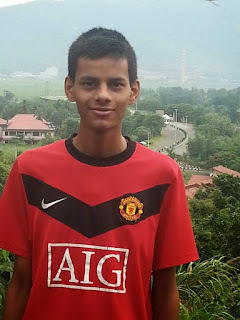 Resident of Sector 39 in Gurgaon, Tushar was a first-semester student of electronics and communication engineering at IIT Guwahati, when he was found dead on campus on the intervening night of September 13-14, 2014. Assam Police suspected Tushar had committed suicide by jumping from the fourth floor of his hostel. But his parents insisted cops had neglected crucial pieces of evidence. A case was finally registered against unidentified accused on September 26, 2014, at Jalukbari police station, Kamrup district, Guwahati, under sections 120B (criminal conspiracy) and 302 (murder) of IPC, vide FIR number 710/2014. On December 9, 2016, Tushar’ father filed objections to the report. Questions he raised included: Photograph of the site obtained from police show hook and zip of Tushar’s trousers, and buttons of his shirt, were open. There were visible scars on Tushar’s body that hinted he was physically abused before death. In it’s eight-page verdict, the court of ACJM accused the probe agency of not exploring contradictory statements of witnesses. It dismissed the investigating officer’s contention that Tushar was ill and couldn’t cope with academic pressure, or that no one had heard the sound of the body falling from great height between 12.30am and 1am, especially with the IIT canteen nearby being open till 3am. The autopsy report shows death was due to injury to the vertebrae, but in the photograph, he could be seen with a bent knee, lying on one side. Also, the suicide note was not in Tushar’s handwriting. The court’s verdict has castigated the police report on several other counts. Tushar’s illness, which is it’s main focus, was for urinary tract infection and typhoid, for which he was in a hospital. But at the time, his doctor did not notice him suffering from mental depression. “The court has stated the probe was one-sided, I hope the people responsible will be behind bars soon,” Tushar’s father said.